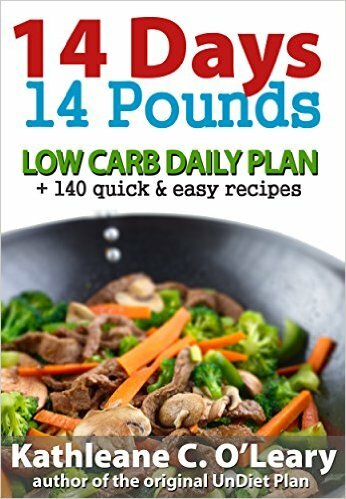 This book is what you’ve been waiting for, the missing piece of the low carb puzzle. This is a low carb meal that you can serve to your family without any apologies. You’re welcome to substitute ground beef for all or part of the ground turkey in the meatloaf. I prefer the taste of the ground turkey though as it doesn’t overwhelm the spices and herbs and I definitely appreciate the lower calorie count of the ground turkey. You may also choose to use frozen veggies in place of fresh veggies. You could use taco or fajita seasoning in place of the chili powder, black pepper, cumin and salt if you still have them in your cupboards but I try to avoid these prepackaged seasonings as they contain so many chemicals. The prepackaged Mexican seasoning mix found in the spice section of most grocery stores is great though. You can use instant oatmeal, whole wheat panko, whole wheat bread crumbs or crushed whole wheat crackers in place of the pork rinds, but I don’t like to mix starches with proteins as it makes food more difficult to digest and if you’re on a low carb eating plan then you’ll want to keep the recipe as is. Mix all ingredients together in a large bowl except the ground turkey. The reason that you mix the meat in last is that if you manipulate the meat too much your meatloaf will turn out tough. You want to manipulate the meat as little as possible, so adding it last means you will only need to mix it much less than if you dumped all the ingredients in a bowl and went at it. Pack the meatloaf mixture into a lightly oiled loaf pan. Bake uncovered about 1 hour, until a meat thermometer inserted in the center of the meatloaf reads 160-165 degrees. If you don’t have a meaat thermometer you can make a cut in the center of the meatloaf and check to see if the meat is still pink. Once the meatloaf is fully cooked, remove from oven and let stand at least 10 minutes before slicing. This helps the meatloaf to reabsorb much of the juices and of course you end up with a juicier, more flavorful meatloaf. Slice and serve drizzled with Enchilida Cream Sauce (recipe below) or 1 carb ketchup. If you don’t want the extra carbs you can skip the sauce. If you’re trying to lose weight by lowering your calorie intake you can use 2 cups of broth and skip the heavy cream. However if you really want the cream sauce then don’t deprive yourself – choose where you’ll lose. This sauce is also good with chicken or pork. Just marinate a chicken breast or a pork roast in the Enchilida Cream Sauce, then baste with the sauce during the last few minutes of cooking. Dump the jar of red bell pepper into a colander and quickly rinse. Puree in a blender or food processor, then dump the puree into a coffee filter lined small colander to drain overnight. In a medium saucepan heat oil, add flour, smoothing and stirring with a wooden spoon. Cook for 1 minute. Add chili powder and cook for 30 seconds. Add stock, tomato paste, oregano, and cumin. Stir to combine. Bring to a boil, reduce heat to low and cook for 15 minutes. The sauce will thicken and smooth out. Variation: Add 1 cup chopped sauteed onion and 1/2 cup minced green chilis or roasted bell pepper. Saute onion in canola or olive oil until just soft. Add remaining ingredients and continue cooking until vegetables are crisp-tender, about 5 minutes. Steam cauliflower (or cook in microwave) until tender when pierced with a fork, about 15-20 minutes. In a medium saucepan over low heat combine garlic cloves, (shortcut: buy refrigerated peeled whole garlic cloves) and butter. Cover & stir occasionally until garlic is tender when pierced with a fork, about 10 minutes. Alternatively you could use roasted garlic and skip this step. Puree all ingredients in blender or food processor. If the mixture is not thick enough add some powdered chicken or vegetable broth. Taste and add salt & pepper to taste if needed. You can make this up to two weeks ahead & freeze in freezer quality ziplock bags. Thaw by leaving at room temperature or on top of fridge until completely thawed or at least thawed enough to remove from bag & reheat in a covered dish in the oven. Amy’s Organics Saves the Day! I always have a few of Amy’s Organics prepared meals in my pantry and freezer. 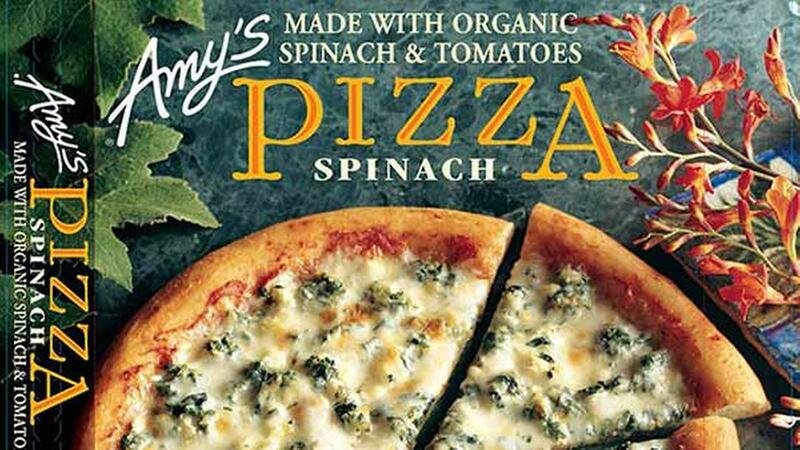 I’ve tried many of the frozen and boxed brands and haven’t found them to be that tasty, but Amy’s Organics have been a hit every time I’ve served them. And it’s fabulous to know that all of the ingredients are organic, and most meals use whole grains. Many of the frozen items come in individual and family size. On a busy day all I have to do is pull one out, heat and eat. They’re great as is, but a few semi-homemade meal hacks such as adding frozen veggies or leftovers from the fridge I can up the veggie intake and stretch one meal into two. And when they’re on sale I stock up on as many as my freezer and cupboard can hold. Amy’s refried beans are perfect for making a healthy burrito, nachos or a layered dip. I like to stir refried beans into broth with some of Amy’s salsa for a quick bean soup. These burritos are all around 250 calories and delicious. I love to serve them with loads of salsa and call it a meal. For the little ones, I put them in a bowl and cut them up. They look like a mess but that doesn’t matter since they disappear real fast. Amy’s has lots of great cereal choices. Perfect in the morning with nondairy milk and sliced fruit. Another great quick and easy dinner. If you need a little somethin’ somethin’ to feed a hungry teen you can heat up a can of Amy’s refried beans to serve with the enchilidas. Your little darlings will love these healthy lunches and dinners. Serve them with sliced fruit or veggies on the side for a little extra nutrition. Much better for you than a can of orange spaghettios. There are several varieties to choose from. These meals have so much sauce that you can stir in up to a cup of cooked veggies. So MANY varieties. May favorite is the Roasted Vegetable. Eat as is, or pile a salad on top and eat it like a sandwich. Kids, adults, everybody loves these. I heat up a cup of pasta sauce and serve it as a dip. Love, love, love their soups. My fave? Any of the chilis. I eat the chili straight out of the can as soup, on hot dogs and hamburgers, and over eggs. If I want a light meal I’ll add some broth to the chili. What are your fave Amy’s Organics hacks? Share in the comments. Welcome to The Basic UnDiet Plan. Protein Binge gives you a short term way to get through feeling deprived or when you don’t have control over your food choices, Produce Power is a good detoxification program (and is actually perfectly healthy to follow for the rest of your life, it’s just that it’s emphasis on uncooked foods severely limits your meal choices), but The Basic Plan is the foundation of The UnDiet. The guidelines here will take you through weight loss, weight maintenance and into a healthy life. Eat nothing but fresh or frozen Fruit in the morning up until noon. Make sure that you let at least 20 minutes pass between your last bite of Fruit and lunch, 45 minutes if you’ve eaten a banana. If you eat a melon try to eat it before any other Fruits as melons digest quicker than any other Fruits. Keep Starches separate from Proteins , allowing at least 2 hours and preferably 3 hours between a Starch and a Protein Meal. Veggies are Neutral and may be eaten with any meal except a Fruit meal. Use only whole grain products, no white flour, no white rice. If a label says “wheat flour” it is not whole wheat flour ;it’s white flour which can be called “wheat flour” as it’s made from wheat. Cornstarch is a processed starch. You can substitute arrowroot flour, soy flour or pastry whole wheat flour. Structure your meals to consist of 70% raw vegetables with Starches or Proteins as a minor ingredient. This is not always possible, but do it more often than not. Fruits can be eaten with other food groups but you must wait 3 hours after eating a Starch or Protein Meal and 2 hours after a Veggie meal to eat Fruit again. Wait 20 minutes after eating Fruit before eating anything else. The reason for this is that Fruit is digested in a different way than other foods and if your body is working on digesting other foods and then is hit with a serving of Fruit the Fruit will rot while waiting to be digested. Among other problems this can cause a buildup of gas in your intestines which can be uncomfortable. Exceptions are the “Fruit vegetables”: cucumbers, avocados, tomatoes, bell peppers, as well as celery and lettuce. Celery is a great thirst quencher when you’re thirsty and it’s too soon after a meal to drink a glass of water. No Dairy with Starch meals, except whipping cream and butter (they’re considered to be Fats, not Dairy). Use tofu, rice or nut products instead, or add water or nondairy milk to cream when you need a milk replacement. In health food stores you can find tofu and nut cheeses, soy cream cheese, soy yogurt and an excellent casein-free soy parmesan made by Soymage. Rice or soy milk are great milk substitutes. Buy the lo-fat, not the nonfat versions (they taste like water). Experiment until you find the brands that you like best. Don’t give up if you don’t like a substitute, another brand can make all the difference. Drink an UnDiet beverage 10-20 minutes before a meal. No beverages 10 minutes before, or 2 hours after a meal so your food will digest unhindered. If you can’t wait, eat a celery stick, which will help to quench your thirst. Try to limit snacks to fresh Fruit, fresh Fruit juice, fresh veggie juice, warm broth, or raw veggies. If you just have to have something more substantial, try first eating one of the above, waiting 20 minutes, then if you still have a craving, eat what you originally wanted as long as it’s part of the UnDiet plan. Start the day with a glass of fresh juice, herbal tea, plain distilled water, or distilled water with a squeeze of fresh lemon or lime juice. If you can drink your lemon/lime “tea” without sweetener, all the better, but if you must you can add honey, date or maple sugar. When you wake up in the morning your body is still eliminating the food you ate the day before. You don’t want to tax your body by forcing it to begin digesting another meal, so from the time you wake up until noon, you’ll eat nothing but fresh or frozen Fruit. No canned Fruit. If you like, you may also drink freshly made Fruit juice that you make yourself, or purchase from a juice bar or grocer that makes it’s juices daily. No canned, bottled or frozen juice concentrates. Cooking Fruit destroys all it’s benefits to your body including the enzymes needed to digest properly. Exception: “flash pasteurized” is okay, as it’s cooked so quickly that the enzymes aren’t destroyed. If you have trouble digesting Fruit you may try eating celery or lettuce with your Fruit. If you do choose to combine these veggies with your Fruit, try eliminating them after a few days and you may find that your body has rid itself of enough toxins that you are now able to digest things you couldn’t eat before without discomfort. Check out Fruit Recipes , on the Recipe Index page. You want to try to make 70% of each meal raw veggies (or 100% fresh Fruit) as this is what facilitates the digestion of your food, helping you to lose weight. I can’t always make every meal 70% raw veggies, but I try and I’ve even come up with some creative ways to introduce raw veggies into dishes that I wouldn’t normally have added them to (see Raw Veggies on the Recipes Index page). When you switch from Fruit to any other food make sure that at least 20 minutes have passed (44 minutes after a banana), so the Fruit will be completely digested. 10-20 minutes before lunch drink a glass of fresh veggie juice, fresh Fruit juice, herbal tea, or distilled water. Make a salad. Use any dressing that contains no preservatives, sugars, chemicals, or high fructose corn syrup. Don’t worry about using oil in your dressing, although if you can cut back on the oil by adding a little more balsamic vinegar, lemon or lime juice go ahead. Note: I love balsamic vinegar, but it is a dead food and it’s much better for your system to use lemon, lime or orange juice instead. However, since the idea is to eat as healthy as you can and still enjoy your food, pick your deviations. You get the idea, make up your own veggie combos. I try to use veggies that I don’t like served raw. Let cool until warm and serve on bed of lettuce and/or other raw veggies. Drizzle dressing over all. Try to make at least 70% of the salad raw veggies. Or you may prefer having raw veggie sticks for lunch, plain or with a dip. Just make sure that the dip is chemical and sugar free. Check out the Veggie Dips recipes. A big salad is one of the best lunch choices when you’re losing weight or detoxing. It’s easy to digest and therefore doesn’t tax your system in the midst of the day when you need energy for other things and doesn’t take much time to prepare. However if you can’t bring yourself to have “just a salad” for lunch you can add a serving of leftovers from dinner or any of the recipes from the Recipe Index page. The best snack to continue detoxing your system is fresh Fruit; next best is raw veggies; however it’s perfectly acceptable to have any protein or starch food as long as you’ve waited the recommended amount of time if you’re snacking on a different food group than you had for lunch. Best choice is filtered water or herbal teas, decaf black tea, decaf coffee (hot or cold) made from filtered water – no milk, although cream is okay since it’s mostly fat and therefore classified as a Neutral instead of a Protein. I usually keep a pitcher of one of the following in the fridge: any Celestial Seasonings Zinger teas (make it strong and it tastes like Fruit juice – without the calories! ), or Good Earth decaf. I also love to squeeze fresh lemon or lime juice into my water, sometimes with a little maple syrup or honey. 10-20 minutes before dinner drink a glass of fresh veggie juice, fresh Fruit juice, herbal tea ,or distilled water. A veggie salad or other raw vegetable dish, with a serving of any recipe from the Recipe Index page. You may have healthy cookbooks, but be careful as they rarely take into account the principles of food combining. Check out the List of Substitutes, Protein Substitutes, Starch Substitutions and Favorite Recipes pages for help modifying your recipes, or check out the UnDiet Bookstore for other recipe options. Stop eating by 8pm. If you can’t that’s okay, but at least allow 2 – 3 hours between your last meal (20 minutes if your meal or snack is Fruit) and when you go to bed. The first 2-4 days you may notice an increase in mucous and bowel elimination. This is your body clearing out the toxins built up over years of abuse. It may be a little uncomfortable, but stick with it, it’s good for you! dropping inches on your tape measure? free from many food cravings? free from other things you may have been plagued with such as: headaches, colitis, heartburn, shortness of breath or chest pain when you exert yourself? If you feel weak or tired, try increasing your salt intake, also increase your potassium intake by eating bananas, parsley, watercress, spinach, chicory, chard, bamboo shoots, mushrooms, and avocados. If you’d like help getting started with The UnDiet you can order The UnDiet Step-By-Step Email Program. A new UnDiet step will be emailed to you each week. Included with each week’s step will be Success Tips, Recipes utilizing that week’s Step, and encouragement to keep on following through with previous Steps. When you order The UnDiet Step-By-Step Email Program you’ll also be added to the UnDiet Update list which will notify you when new recipes and info are added to this site.